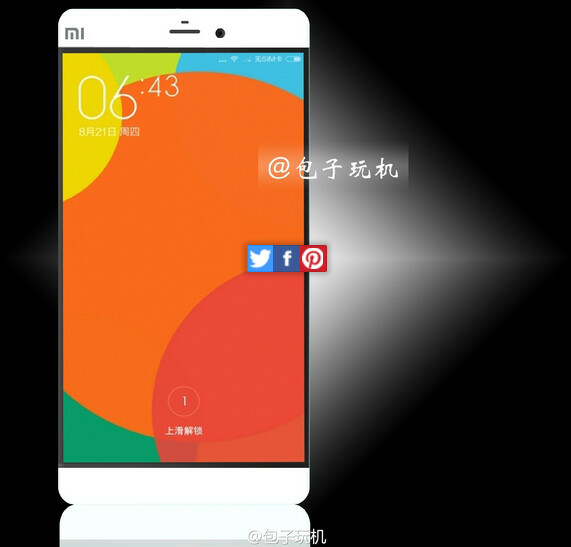 Xiaomi Mi5 to be unveiled at CES next month? Just the other day, we told you some interesting gossip about Xiaomi's next flagship, rumored to be (drum roll, please) the Xiaomi Mi5. Hey, no one said that the company had earned its reputation for innovation because of its device naming capabilities. Back in November, a photo of the Mi5 was leaked, and the razor thin side bezels quickly caught the attention of everyone. A few days ago, the buzz around the water cooler was that Xiaomi would sell the Mi5 at the bargain price of $325 USD, off-contract. According to mobile telecom analyst Sun Changxu, the Xiaomi Mi5 will be stuffed full of high-end specs. Sun expects the phone to feature a 5.7-inch screen with resolution of 1440 x 2560. He also expects it to be among the first smartphones powered by the 64-bit octa-core Snapdragon 810 CPU, with the Adreno 430 GPU crunching graphics. The analyst sees Xiaomi using the same 20.7MP Sony Exmor sensor for its rear-facing camera, that is employed on the Meizu MX4. And we can't forget the rumored fingerprint scanner. And the cool part is that the phone just might see the light of day as soon as next month. The timing with Qualcomm's delivery of the Snapdragon 810 might be tight, but we could see the Xiaomi Mi5 unwrapped at CES 2015 in Las Vegas. If all of the rumors are true, from the razor thin side bezels, to the specs and pricing, Xiaomi might be coming to the U.S.with one sweet phone that might immediately capture the attention of smartphone buyers in the states. I tried MI4 for one month. The UI is extremely ugly and boring. The sound output is really terrible as well I am still seeing that Motorola or Blu are much more better choices to get an affordable phone with very good specs. Don't forget the design of Xiaomi mi3 is a clone of Nokia N9. Crappy hell Chinese! And the MI5 is a clone of a BlackBerry Z30 lol! Yeah, I also find the UI very boring and ugly. I'm using Nova Launcher. Xiaomi stands no chance in the US. The US market is very competitive with Apple dominant and Samsung and others highly rated. Besides, the US phone users are sophisticated and more discerning to buy into the garbage that is Xiaomi. In fact, if Xiaomi should as much try to sell a few hundreds of its new flagship, it should be ready for patent suits battle with Apple and the rest. The Chinese copycat will soon scamper back to its home country and third world markets with its tail between its legs. Rubbish. So much for its hallucination of wanting to be world's number 1 in 5-10 years time. Yessss I will buy a mi5. Unlikely. 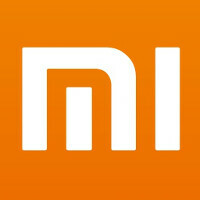 We have to see first discounts of Mi4 a couple of months before Mi5's launch. Also Snapdragon 810 isn't ready. Though could be another Xiaomi handset. Redmi 1s and Redmi Note both are behind the competition now. Also there was a rumor about a Mediatek machine would be competitor to Meizu MX4. I'm not sure how much of a discount they could give, as I hear they're making most of their profits through software sales. The physical device itself doesn't make them much profit. For example Xiaomi Mi3 16GB launched at September 2013 with 1999 yuan (around $320) price tag exactly like Mi4. It see first price cut to 1699 yuan (around $270) in April 2014. Than finally to 1499 yuan (around $240) in June 2014. Mi4 launched end of the July with 1999 yuan (around $320) price tag. There is a similar story between Mi2s and Mi3. Mi3 launched September, Mi2s discounted to 1699 yuan (around $270) in July. Xiaomi uses internet sales model without using middle men. They don't advertise. If Samsung S5's BOM cost is $215, I guess Mi4's should less than $200. Conquer the world with fierce. Value for money. This is what other oem should be like. I don't understand why they would use that screen size for the MI 5. I would think they'd use the 5 inch screen again or maybe bump that up to 5.2in. I would think they'd use the 5.7in screen on the Note phone.